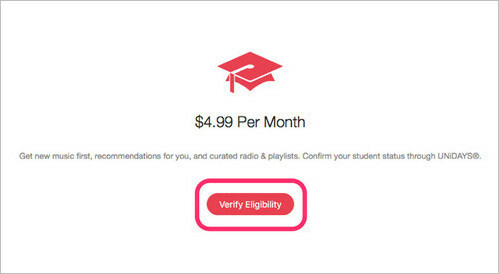 How to Get Apple Music's Student Discount? Australia, Austria, Belgium, Brazil, Canada, China (including Hong Kong), Chile, Colombia, Denmark, Finland, France, Germany, Ireland, India, Indonesia, Italy, Japan, Mexico, New Zealand, Netherlands, Norway, Russia, Switzerland, Singapore, South Africa, Spain, Sweden, Thailand, United Arab Emirates, United Kingdom and United States. Apple Music is available on a lots of devices from Apple's own iPhone, iPad, Mac range to Apple Watch, SONOS Speakers, Mac/PC and even Android. In order to qualify for a discounted membership, students will need to have their enrollment in a degree-granting institution through UNiDAYS, a student validation service. Apple will be “periodically” re-evaluating your status, if at any time you are no longer a student your membership will be changed to Individual membership costing $9.99 a month. Update the iOS your iPhone, iPad or iPod touch, and get the latest version of iTunes on your Mac or PC. 1) Open the Music app > tap Get 3 Months Free, then tap "Are you a college student?". 2) Choose College Student or University Student, then tap Verify Eligibility. 3) Enter your academic (.edu) or personal email address and search for your institution's name. UNiDAYS may use this email to keep a record of your eligibility. 4) If you're joining Apple Music for the first time, click the trial offer to start your Student Membership. Otherwise, click Start Student Membership. 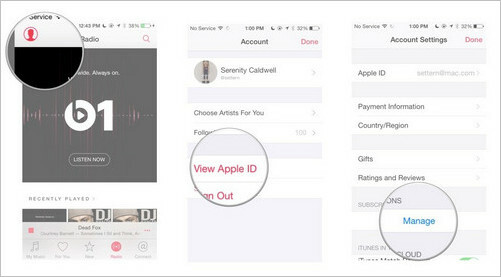 1) Open the Music App > tap View Apple ID. You might be asked to sign in or use Touch ID. 3) You'll need to prove that you're enrolled at an eligible university or college through UNiDAYS. 4) On UNiDAYS, enter your personal email address and start typing the school you currently attend. 5) Proceed to enter your school email address. You’ll get an email asking you to confirm your student account with UNiDAYS by following a link. UNiDAYS asks for a bit more information like your major and the amount of years in your program too. When you’re done filling out the form, you should see that you’re verified for a full year. 6) Go back to iTunes to your subscriptions from the account page. You should see that Student is now your selected plan for half off the standard price. You're all set up with Apple Music membership at half price! Enjoy your music as you study! If you want to enjoy Apple Music on MP3 player that can't work with iTunes, taking a specific Apple Music Converter must be a good way. 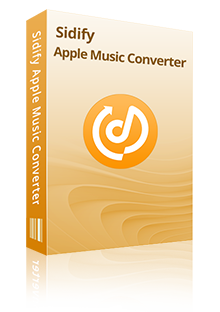 And Sidify Apple Music Converter, the advanced tool will offer the professional features to help you convert Apple Music to plain format for syncing to the devices as you need. Extra tips: If you are currently a student looking to purchase a Sidify license to convert Apple Music to MP3 or other plain format, you can contact Sidify Support Team via support@sidify.com to get a "special student discount of Sidify Apple Music Converter".